There are many great books on the historical performance practices of Baroque music. 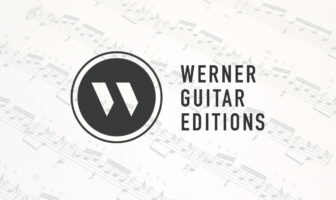 Although the books have nothing to do with guitar, they are valuable because they approach performance practice from a universal musical perspective. Much of performance practice, after all, should be the same on guitar as it will be on strings or keyboards. But there are differences too and there are many opportunities to learn from our earlier plucked ancestors. Peter Croton, early music performer on guitar and lute (and more), and teacher at the world-renowned Schola Cantorum Basiliensis as well as at the Conservatories of Basel and Bern has tackled the task of making a handbook that will bring the new and old worlds together. In his book, Croton has the best of both worlds: a wealth of period sources and universal musical knowledge as well as specific reference to lute, Baroque guitar, and other plucked instruments and composers of the era. The combination of both elements will greater allow guitarists to make informed musical decisions. This is particularly important for guitarists because the modern classical guitar is not a lute or Baroque guitar and can not just simply transfer lute performance practices over to the guitar at all times. Similarly, we are not a bowed or keyboard instrument either. Therefore, we must be able to make informed decisions in order to dive into the beautiful world of Baroque music and to legitimize Baroque performances on the modern classical guitar. This might be said of any modern instrument that has changed over the years but the classical guitar is in particular need of materials that will allow guitarists to see the ‘bigger picture’ of what it means to play Baroque music. The book is a nice size and very wide in scope with 240 pages of concise writing. I love the massive amount of footnotes, references, and index. The footnotes alone would make me happy to recommend this book. If you haven’t read books such as this before you can expect a great deal of period quotes, that is, writings and examples from the time period. This offers us first-hand information about music performance of the time. With these quotes Croton offers the reader discussions and arguments that will inform interpretative decisions. 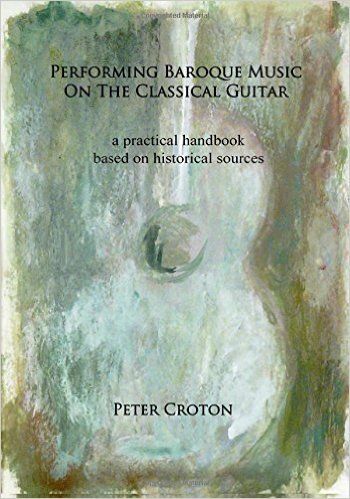 It’s academic but also reads nicely with Croton telling the reader the significance of the quotes and developments in the instruments or musical styles and the how this might be useful to the modern guitarist. He even offers some specific tips and personal opinions for us to ponder. Highly recommended. This is an important book because it puts Baroque music into perspective and offers guitarists a legitimate source of information on historical performance practice. You can look inside the book and read for yourself via Amazon. As we go further into the 21st century, more and more classical guitarists wish to play Baroque and galant music in a manner reflecting stylistic understanding of those eras. We will never know precisely how the music was played then, but can come closer to understanding the priorities of the time. The common denominator of music in our chosen period is rhetorical expression. Historical Performance Practice, by bringing us closer to the essence of the music, gives us not only more understanding but – above all – more possibilities for moving our listeners. While striving to play in a stylistic manner, we must never forget the goal of performance: to communicate passions and elevate the lives of our listeners. It is with this in mind that the present book has been written. David Russell writes: Congratulations on this fabulous book. It will be a great help and inspiration to many guitarists. Oscar Ghiglia writes: A very precious collection of musical wisdom, in the words of Peter Croton and from the heritage of ancient living documents expressing profound opinions of historical writers, on their contemporary art of feeling and performing their music.